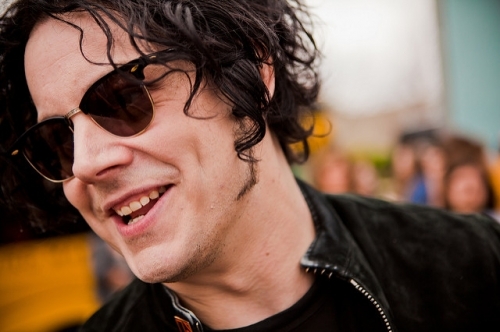 Jack White, frontman for The White Stripes, has released two solo records – 2012’s Blunderbuss and 2014’s Lazaretto – and has a third in the pipeline. White was recently a keynote speaker at Making Vinyl – an event dedicated to the rebirth of vinyls. White has opened a vinyl-pressing factory through his record label Third Man Recordings, who actually launched a record player into space, which pretty much makes him the perfect pro-vinyl advocate. During his Q&A at Making Vinyl, White confirmed that his forthcoming album is nearly done and gave a bit of insight into what it will sound like. Telling the audience about his new album, Jack White explained that it's going to be a 'bizarre' one, leaving much to the imagination. We do know this much however, that he adopted a unique recording process to produce this album. He used a reel-to-reel tape recorder that he bought when he was 14 with money he made from mowing lawns. On top of that, he was inspired by Michael Jackson's style of songwriting, where instead of using instruments or vocals, Jackson would write the songs in his head. MJ used to actually hear the whole song (vocals and instruments) in one, sudden moment, and then beatbox or hum the different parts in the studio to relay what he had heard. Whether White's inspiration for each track was sudden or not, he still reportedly spent many hours each day working on the album. Let's keep in mind, that the bassline (actually played on White's guitar and brought down an octave) for "Seven Nation Army" was thought-up by Jack quite some time before he ever incorporated it into what is the The White Stripes's most famous song. And if that's anything to go by (which we all know it is) then this third solo album could be his finest yet.